TO MAKE A NEW SUBMISSION, please fill in the form below, and then press the SUBMIT button located at the bottom. ORAL abstract deadline is January 20, 2020. Poster abstracts may be submitted now through May 4, 2020. If you make any revisions to your abstract, you will need to email janet@barrconferences.com to inform that changes have been made to your submission. No changes/revisions to your submission will be acknowledged or published after April 20, 2020. 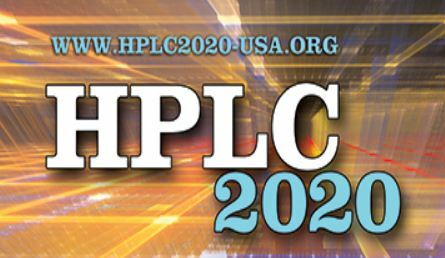 When applying for a Visa, the United States Consulate may require a letter of invitation from HPLC 2020. Therefore, we kindly ask that you request the official letter of invitation several months in advance of the June 2020 conference, as it may take up to 6 months to get the visa processed. If you intend to submit an abstract to the conference, we encourage you to submit the abstract prior to requesting the official letter of invitation. Click the box below if you require a letter of invitation for Visa application purposes. Researchers with new results in areas relevant to the meeting topics are encouraged to submit abstracts for oral and/or poster presentation. Enter up to a 400-word abstract (type or cut-and-paste plain text only with no graphics). Abstracts for oral consideration must be submitted by January 20. INTENT TO SUBMIT: If you are not able to obtain company approval by the date the abstract is due, please enter the following information: title, authors and brief description of the kind of material that you would like to present, and indicate when approval is expected. This material will be kept confidential. For international travelers, please let us know now if you require a letter of invitation for Visa application purposes.